Writing about the Yarra Valley brings back many happy memories of summer wine tasting and lunches with friends in one of Australia's premium wine-producing areas. About an hour out of central Melbourne (and only 20 minutes from my old stomping ground - the delightful little town of Research) the Yarra Valley is a must-visit for wine lovers and those who enjoy great food. It is a lovely part of Victoria and with a coolish climate that grapes seem to relish. Two of my favourites to visit were De Bortoli Estate at Dixon's Creek, where the wine was excellent and the food was even better. Also spend some time at Domain Chandon in Coldstream. Of course there are a myriad of other terrific vineyards in the area, fact so many it pays to spend a weekend out there or organise a wine tour. The sanctuary is simply marvellous and my kids loved going there. 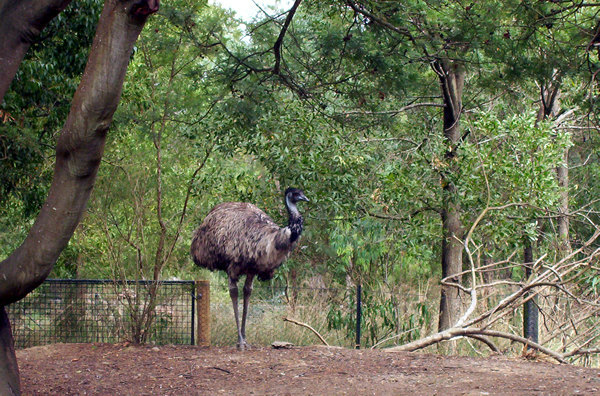 You get to see dingos, platypus, kangaroos and koalas and a host of other Australian creatures, as well as parrots and birds of prey in the flight arena. The predators are simply awesome to watch. In addition the sanctuary has an Australian Wildlife Health Centre that treats more than 2000 sick and injured native animals annually. Not only does the centre help injured animals, but it helps train veterinarians in how do deal with wildlife. At the heart of the valley is Yarra Glen a nice little township with good eateries and antique stores. For the more adventurous tourist hot-air ballooning is a regular activity over the Yarra Valley. If you have the time then head on out to the Yarra Valley - you'll be glad you did.